Duncan Mighty is really the hottest music artist at the moment right now. Everyone wants the Wene Mighty flavour on their record. The latest artist seeking a collaboration with the Port Harcourt first son is DMW boss, Davido. The music in the offing consists of Duncan Mighty, Davido and Peruzzi. 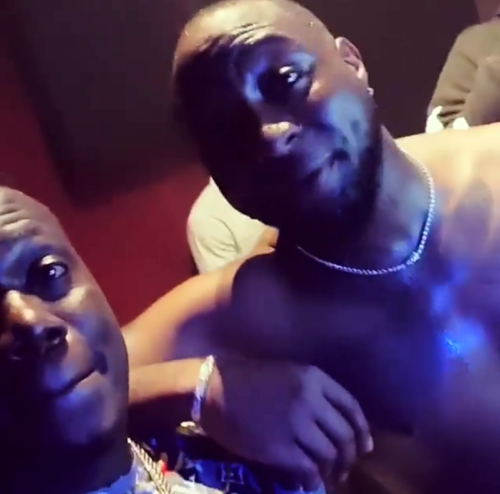 Davido shared the video on his Instagram page were he was vibing with Duncan Mighty, Peruzzi. As expected DMW in-house music producer Fresh VDM handled the production of the track. This new feature increases the tally of music collaborations which the Port Harcourt breed artistes has graced in the past two months.